Seasonally adjusted U.S. retail sales rose 0.4 percent in January, the Commerce Department reported, beating Wall Street expectations by 0.3 percent. Sales rose across all categories, with strong sales at gas stations leading the way. Gas station sales rose 2.3 percent, driven by higher gas prices. 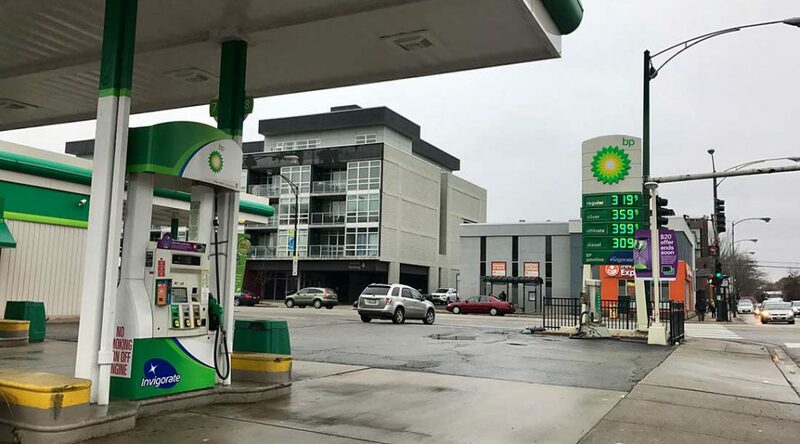 Consumers experienced a 7.8 percent increase in prices at the pump in January, according to data released by the Bureau of Labor Statistics on Wednesday. Stronger fuel sales offset a dip in sales of vehicles. Seasonally adjusted auto sales fell 1.4 percent to $97.94 billion, down from December’s booming $99.35 billion. 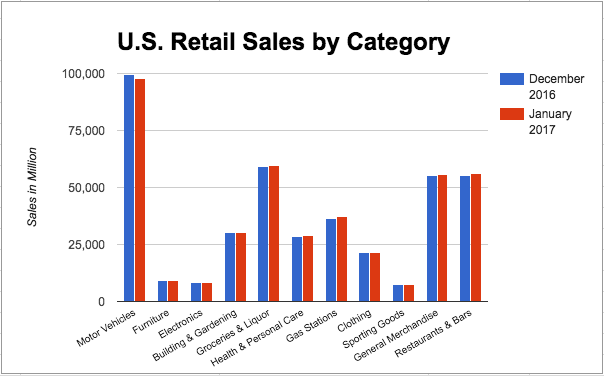 Increases in consumer spending across other categories also bolstered retail sales. Sales at sporting goods stores rose 1.8 percent, while sales at electronics retailers rose 1.6 percent. Restaurants enjoyed a 1.4 percent increase. January’s retail sales were 5.6 percent higher than in January 2016, stirring optimism in some economists. The year-over-year jump is “the best reading since March 2012,” said Brian Wesbury, chief economist at First Trust Portfolios LP, in a blog post. Wesbury added that he expects positive results to continue in the coming months. “Hiring, wage growth, increasing consumer confidence, higher house prices and a climbing stock market are all positives for consumer spending this spring,” said Robert A. Dye, Comerica Inc. chief economist, in a research note. The release of the U.S. retail sales report comes amid Federal Reserve Chairwoman Janet Yellen’s semi-annual trips to Capitol Hill, where she faces a Republican-controlled Congress that has expressed growing concern over increased financial regulation following the 2008 crisis. The Federal Reserve expects to continue to raise interest rates in order to combat inflation which has crept to 2.5 percent, Yellen said in testimony before the Senate Banking Committee on Tuesday. “Retail sales started off 2017 at a healthy pace, and we hope the Federal Reserve is paying attention,” Wesbury said, alluding to Yellen’s remarks.